Another technique used to relay information was by means of a mask letter. A letter would be composed containing sensitive information. 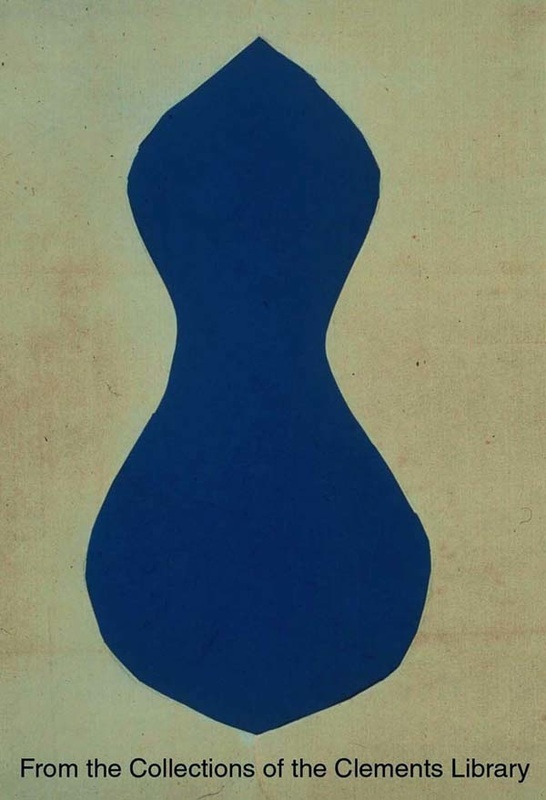 The sensitive information could only be read by the viewer by placing a unique cut out shape over the written letter. The words visible after placing the shape over the writing would convey the message to the reader. To avoid immediate interpretation, the writer would often send the letter and the shape at different times and by different people (1). 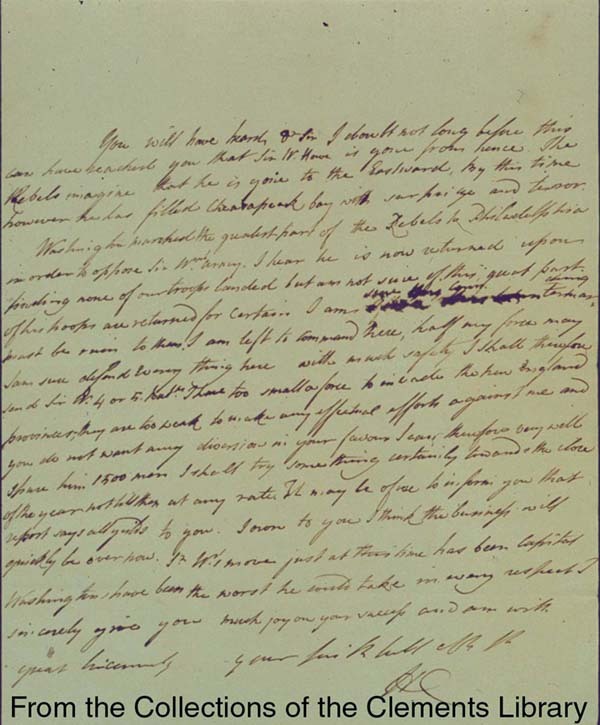 This letter was from British General Clinton to John Burgoyne. It is believed that Clinton, and others who used this technique, wrote the message that was to be conveyed by the shape first and then added on the the lines to misguide a reader without the shape (3). Although this letter is British, this technique was also used by the Americans. 1. Clements Library. "Secret Methods and Techniques." 2. 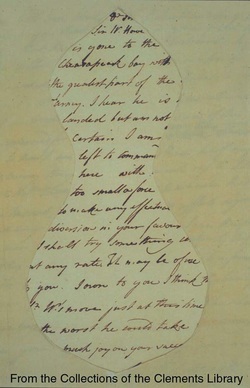 Henry Clinton, Henry Clinton to John Burgoyne, "Mask Letter," August 10, 1777, Spy Letters of the American Revolution, Clements Library. 3. Clements Library. "Secret Methods and Techniques."